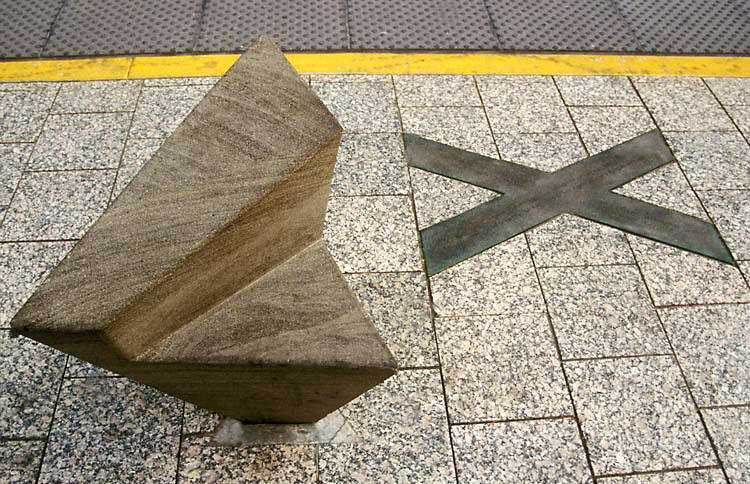 Taking a cue from the familiar phrase, “This Is The Place,” the artwork places bronze X’s with facts about our community in the paving. Seats of Utah sandstone, with shapes tapering downward, “point” to the place and provide a link between the past and the present, or the here and now, and the future. 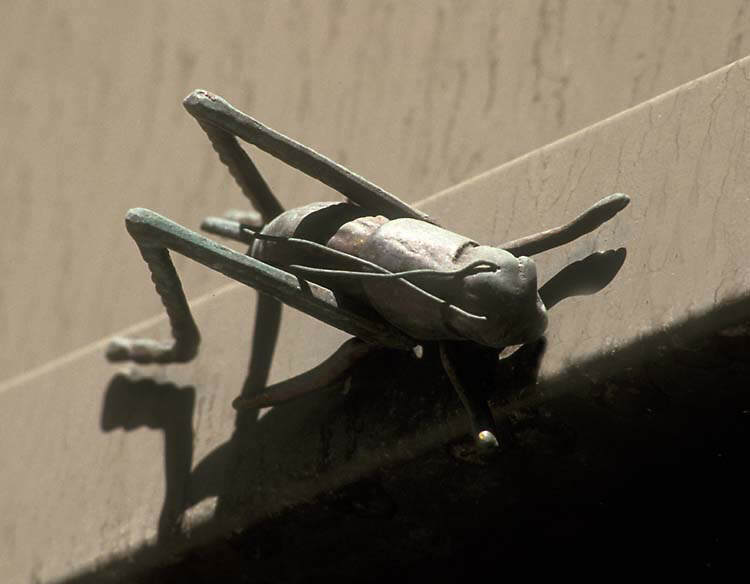 Bronze crickets and grasshoppers inhabit the station, reminding us that these insects, though individually small, have had a significant role with both native and immigrant cultures in the past, which continues in the present and presumably into the future.